INSPIRATION for business ventures often comes from unlikely sources but with a prologue featuring Paul Newman and a parental pep talk, the story of Red Lion Foods stands out from the corporate crowd. However, the unusual raw ingredients that provided the catalyst for the firm’s formation in 2011 are not the most remarkable aspect of this retail tale. 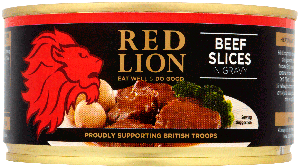 Shunning commercial convention, Red Lion Foods was set up with the aim of raising funds for Service charities rather than revenue for shareholders and donates 100 per cent of its post-tax profits to the military community. With its products currently on sale on the shelves of Tesco, Sainsbury’s, Co-op and Waitrose, this gesture has seen the company pledge more than £1.2 million in support of Britain’s Armed Forces. told Army&You how the simple act of reading a newspaper delivered the genesis for his generous grocery business. “On successive pages there was an article on a Second World War veteran, a photograph of a flag-draped coffin of a young man passing through Wootton Bassett and an interview with Joanna Lumley talking about her father [who served in the British Indian Army] and the campaign for Gurkha rights,” the entrepreneur explained. “At that point my daughter came into the room and I took the opportunity to point out how Joanna Lumley hadn’t been given a job to do the right thing but was doing what she felt was right, giving it her best shot and said ‘you should be trying to do that as well, young lady’. “In reply, my daughter rolled her eyes at me in the way that most teenage girls do when receiving advice from their dad and said ‘if you care so much, why don’t you do something?’. “On the next page of the newspaper there was a story stating that Paul Newman salad dressings had raised more money for charity than the gross from all of his films. Despite having never served himself, the decision to select the British Armed Forces as the benefactors of his venture was a simple one for Andrew. “I have a fundamental core belief that in our society there needs to be more respect and that should start with the group of people who are prepared to make the ultimate sacrifice,” he said. Although Red Lion Foods is fully-focused on its altruistic aims, the company’s operation is based on sound business acumen. 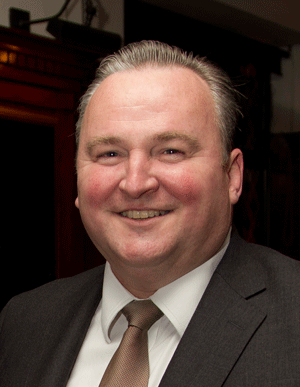 When Andrew developed his benevolent brand he was determined to ensure sales did not rely on the public’s high regard for the Armed Forces or the goodwill generated by the likes of Help for Heroes and national events such as The Sun Military Awards. “I’d love to say it [public affection for British troops] has helped us but the world of grocery and food retailing is so competitive that the fact that we support the military is probably number three on the list of things we talk about,” he explained. “Number one has to be the brilliant quality of our food because otherwise there is no point in anyone buying it. “Second is that our products are great value for money; which could be bigger pack weights, higher meat content, lower prices or hopefully a combination of all three. Testament to the success of Andrew’s approach is the latest round of cheques presented to Service charities before Wales’ 2014 RBS 6 Nations clash with Scotland. Among the donations dished out at the fixture were £100,000 to Help for Heroes; £20,000 to ABF The Soldiers’ Charity; £18,000 to Scotty’s Little Soldiers and £18,000 to The Royal British Legion. Despite his wealth of industry experience, Andrew, who does not draw a salary from Red Lion Foods, has found the act of supporting charities far from easy. “It has been the most challenging thing I have ever tried to do,” he concluded. “Getting the finance together, delivering through the pressure of trying to run a company and getting as many people to work on the project for free; all of those things have been hard. “However, whenever I’ve felt under pressure I’ve reminded myself that it is not nearly as hard as the job of maintaining peace in Afghanistan or of deploying on a submarine and not seeing your family for a long time. Journalist and former Editor-in-Chief of Soldier magazine, the official magazine of the British Army.